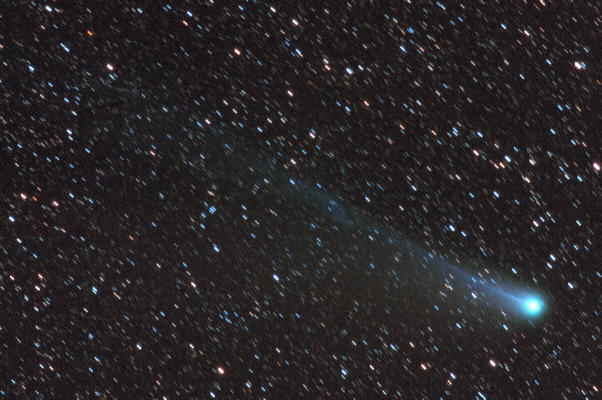 Discovered by Kaoru Ikeya of Japan and Daqing Zhang of China on February 1, 2002, Comet Ikeya-Zhang brightened to third magnitude in April 2002, making it the brightest comet since Hale-Bopp in 1997. Viewed through 10x30 image-stabilized binoculars, the bluish ion tail could be traced out to approximately 4 degrees. The yellowish dust tail was faintly visible but undistinct. Technical Notes: The image was cropped to increase the image scale.